It's hard to describe a book like this and get it right, it's so deeply lyrical with solitary beauty. Nature, red tooth and nail comes to mind, but also the inhuman nature of man. Ree is such a strong well drawn character with the world upon her shoulder. We start out knowing Ree is the caretaker for both of her younger brothers and her mentally adrift mother, Ree is only sixteen herself. Her father, who has been known to be off for days/weeks a time, is now missing and has skipped bail. If he doesn't show up for his next shortly upcoming court date the house will be repossessed, leaving Ree, her two brothers, and her mother to "live in the field like dogs". She then begins her labyrinth through the winter wilderness of her long-stretching, cult-like, meth addicted family called the Dollys to search for her father. There is good bit of action in this book, but I found myself looking towards the quiet scenes with breathtaking admiration. 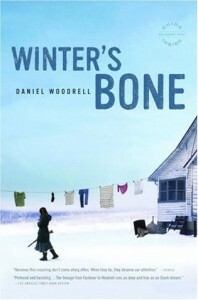 Daniel Woodrell can write. I have some serious issues with this book, not the ending, but the book on whole. Let me just say before I go all nails and teeth on this one, that I did enjoy it overall. I love the way Veronica Roth writes, so how could I not find it enjoyable. This series seemed to fall slightly as it progressed. I became more involved with the characters which was good, but the plot became pretty boring even among the all the action going on. Most of my frustration comes from the fact that I love fantasy, something out of the ordinary. So...when someone tells you there are doors, doors beyond this world you know, you expect well... something unexpected. I felt this way about the Maze Runner series, it just dwindled away into nothing for me. I still remember the plot for the most part, but was I as enthralled with book two and three as I was the first one? No, there was still mystery in the second and third book, but it receded without reward. I still don't know if I'm disappointed with the controversial ending, because I did think it was genius in it's own right, but I can see why everyone's so pissed off. You get invested. It hurt to see things end, but the story did end. 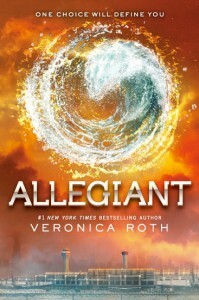 I wish I could say it was fantastic, like I would about Divergent, but I can't. Sometime a book just strikes you, it lingers in your mind for quite some time. This is one of these books. I went into this thinking it's going to be your typical gore, horror, cheap thrill books, which is fine. I do enjoy a good, senseless, cheap, gory read from time to time, but this one was more than just a cheap thrill. The nostalgic presence of juvenescence seeps through it pages. I want to say almost Brabury-esk, but Partridge definitely holds his own. The writing itself was superb, the beginning, middle and end were perfect. My only objection is that it is such a short book. There's something that's been bothering me, and it really has nothing to do with the book, but my inability to shelf it. It's a horror, but not. It's a YA, but also not. I haven't seen anyone shelf it as YA, but from my knowledge of what YA is, this book is it. This book is really something in itself. Overall I loved it, it was a perfect read for Halloween. It wasn't sleep with your light on scary, but the creepiness permeates the entire story. Not what I was expecting, but nonetheless a pleasant surprise. Ever since I was a little girl I found Henri Rousseau's painting, "The Sleeping Gypsy", mesmerizing. I didn't know the name of the artist or the painting the first time I glimpsed it, but I knew I was in love. Then, one day I found the name of the mysterious artist who had painted this marvelous picture. I was so excited I wrote his name on a piece of furniture in my room (I think it was some kind of bureau). I was a bad kid, I drew and painted all over everything, so this behavior was typical of child-me. Finally, my mother was so used to it that I was painting murals on my walls, even my ceiling in my teens, but that's another story. Anyway, I wrote his name there, and it stayed for a many a long year so I could think of that gypsy from time to time. That gypsy... maybe she is truly asleep? Or maybe she knows the lion is there and she is lying in wait, unflinching. For some reason I'd like to think it's the latter. I've always been draw to quiet stillness, the ability to wait. 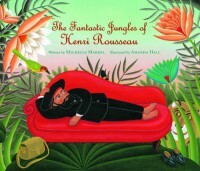 Anyway, this book was a little biography with pictures about the life and time of Henri Rousseau. A man who was self taught in his art and was able to pull himself up from his bootstraps. I don't know if I'll ever penetrate the world of fine art, but his story sure makes me want to try. 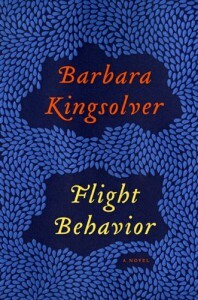 Whenever I pick up a Kingsolver novel, I know I'm picking up a jewel. Even the librarian that was checking me out could not contain her "You're so lucky to have this" statement, and that's how I felt, lucky. I think I might have even found a penny on the sidewalk that afternoon. My intuition was on point, it was a lovely, thought-provoking novel. I think one of my favorite parts was when Ovid gives it to that shiny reporter. I'd probably pay good money to see something like that go on live news. I love how Kingsolver manages to write a fully compelling novel, that somehow pulls in the save the world/look a the greater picture idea into the story. Also, as a plus, I now know how to save a newborn lamb if it's not breathing. Flight Behavior had a lot of the same qualities that Prodigal Summer did, and needless to say, I loved Prodigal Summer. The one star difference for me would mostly be the characters. The characters were memorable and well drawn out, but did I like Dellarobia as much as Deanna? Or even Nannie for that matter? Well, I liked her name more, but Deanna was such a great character. Dellarobia did remind me of Lusa in some light, but a little rougher around the edges. I think, perhaps, it could just be the difference of liking moths more than butterflies. 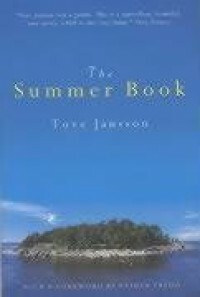 Everything that is the beauty of summer is in this book. Everything I hope to be as a grandmother is in this book. Everything in this book is all sensitive moss and red spiders. This is a great christmas book. 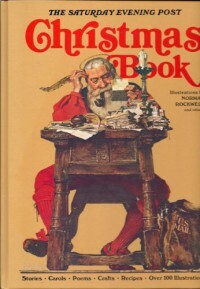 I've always been a huge fan of Norman Rockwell, and the illustrations alone are marvelous. Good for old and young alike. 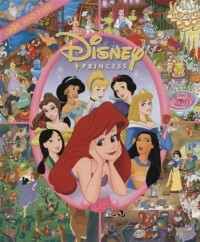 What can I say, I love I spy, and I love Disney princesses! It has alternating complicated and simple "look and find" scenes, so it makes you, ahem, I mean the younger reader, feel better for not finding all or any of the items on the more difficult pages. I liked the Belle scene the most. 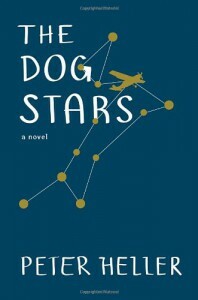 The Dog Stars...I'm still mulling over this story, because I'm still not sure how I feel. It was good, even magnificent, and sad, really very sad. You can feel certain parts of despair seeping from the pages as you read it. I know a part of me was mad. 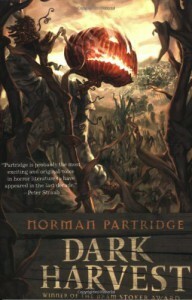 I said to myself (the part that is mad): "You know self, not every post-apocalyptic novel has to have zombies, right?" But that part of my brain just won't listen, and it won't fully let me enjoy a beautiful story about the end/beginning of the world. I'm going to go around that part of my brain and think about the good/sad parts. The parts that made me want to fly in a plane with a dog and catch fish all day. The parts that make you want to be a better person. The main character is flawed, but still he hasn't lost his humanity, and that's important somehow. There is definitely a ying/yang thing the whole Hig/Bagley relationship, something to keep both in check. I enjoy balance. I have to admit, I thought I knew how this was going to end. I thought Peter Heller would go the "Fight Club" route, but I was wrong. I'm glad I was wrong, it's nice to be surprised. This is the kind of book I love. 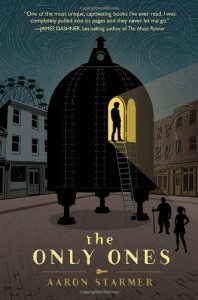 Without giving too much away, I'll just say I love time travel books and mystery books. It took me a little while to process the end, but it was good, so damn good. I do wonder about Nigel. What was the deal with the Nigel character? There were a couple of holes in the story, but mostly while reading you're so absorbed that you just don't care. You do get a sort of ouroborus feel at the end when trying to sort everything out, but that's part of the fun, right? I knew I had a treasure in my hands the moment I read James Dashner's comment on the front cover. A unique, fast-paced read, and just the right amount of creepiness too. 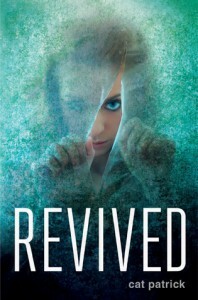 Revive started out with a strong storyline, but in the end fell into the not-so-memorable category. I still liked it in a guilty pleasures sort of way, but a couple months from now I'll probably only be able to recall the basic outline of the book. I suppose I'm mad because this book had so much potential, so much. Even the ending climax scenes seemed rushed and anticlimactic. Bees...? Really...? I saw the foreshadowing, but come on! I guess I should state what has been stated before, don't go in for books with beautiful girls on the cover (which is true nine times out of ten). I hate to judge a book by its cover, but that's one of the book judging rules that actually has some truth to it. Despite my ranting, (and I mostly won't rant about a book unless I see something promising) it was very readable and enjoyable. The prose of this book reminded me of a book I read in Middle School called "Out of the Dust" by Karen Hesse. It's a beautiful merging of poetry and historical fiction. This, by the way, is a brilliant idea. If you don't like history, follow the flow of the poetry. If you don't like poetry, follow the historical plot. As for myself, I enjoy a good book of poetry or a historical fiction novel any day of the week. 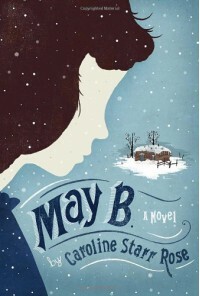 May B is the kind of character that is so real with all her shortcomings and fears, but she also has abounding strength through it all. I think that's always important when trying to create a character, take the good with the bad. When I say bad, I mostly mean her whining. Let's face it, we'd all be whining out there alone on a snow covered prairie with wolves at our door. I always find it intriguing when an author adds a "now diagnosed" disorder into a historical novel. There is some breaking point too where May B finds that even though her teacher thought of her as stupid, she has enough smarts to survive through the impossible and also find her way in literate with a little bit of practice. Although this story did run a bit fast (which was to be expected), it still made for a very interesting and captivating read. Yes! 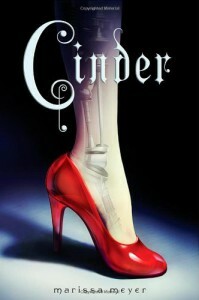 Cyborg Cinderella, it's just such a great idea. The plague part was just an added bonus. I'm not sure this book is a game changer, but it was definitely a fun read. I'm looking forward to "Scarlet", the next in the series. Red Riding Hood was always one of my favorites! Ah, where do I start? I feel as though I've just finished a delicious cup of hot chocolate, but not your average cup of Swiss Miss, oh no. A cup made from some uniquely smooth and fresh melting chocolate mixed with fresh cream. 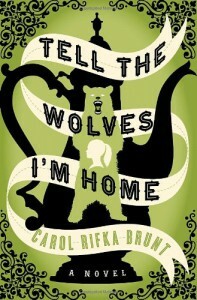 It was just such a refreshingly beautiful and delicious book. There are so many elements that made me fall in love with this book, so many nostalgic moments I experienced. In many ways I was and still am June. I didn't have the boots, but those walks in the woods, I did that, and she was right about the shoe thing. I guess that's why I always appreciated a long skirt. This book is heartbreaking, but really it isn't just a cry your eyes out book, it is so much more.